Kelly Kruse uses her work to explore the painful, beautiful experience of human longing and suffering. She developed a visual devotional practice as a response to her battle with depression, through which she wrestles with beauty, longing, and God. Kruse describes her work as contemporary illumination. Like the medieval monks who perfected the art of illuminated manuscripts, she seeks to awake in the viewer a sense of spiritual contemplation. Her first exposure to the idea of illumination came when she studied Medieval and Renaissance music in Italy. 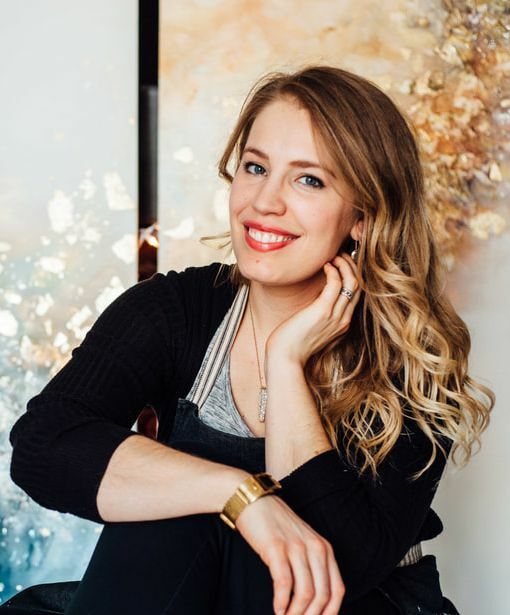 Her background in classical music and opera puts her in a unique position to explore the intersection between scripture, poetry, musical works, and the visual arts. In addition to her artistic practice, she works as a music educator in the KC metro area. Kelly is a Daler-Rowney sponsored artist.